Fiji Airports is currently working on upgrading its air navigation system from procedural to surveillance, an exercise which costs around seven million dollars. This was revealed by the Executive Chairman for Fiji Airports, Faiz Khan while speaking at the 32nd Informal South Pacific Air Traffic Services Coordinating Group Forum in Nadi yesterday. “This is to provide better services to the airlines because through surveillance we can give on time data to the airlines also to improve and enhance safety standards and to reduce separation. “These are things that our airlines as our customers are looking forward to from us as service providers. So we are continuously working on improving our air traffic management (ATM) and air navigation services,” he said. Mr Khan said the key industry players in aviation are the airlines, civil aviation authority as the regulator and the air navigation service providers. “So Fiji Airports plays a major role as the air navigation service provider,” he added. Chairman for Future Air Navigation Services (FANS), Brad Cornell commended Fiji Airports for their progress over the past decades. “So I’ve been coming to Fiji for the last 20 years and the progress here has been remarkable from 20 years ago, when did start this technology we started it in the South Pacific , Fiji was one of the early adopters and this technology is now used around the world,” Mr Cornell said. Fiji Airports is responsible for the operation of 15 public airports in the Fiji Islands this also includes the two international airports which is Nadi International Airport and Nausori Airport which is Fiji’s domestic hub and 13 outer island airports. It also provides air traffic management (ATM) in the Nadi Flight Information Region this includes air space of Fiji, Tuvalu, New Caledonia, Kiribati and Vanuatu. 40 top aviation experts across the region have gathered in a four day meeting to discuss ways to tackle challenges faced by air navigation service providers within the region. 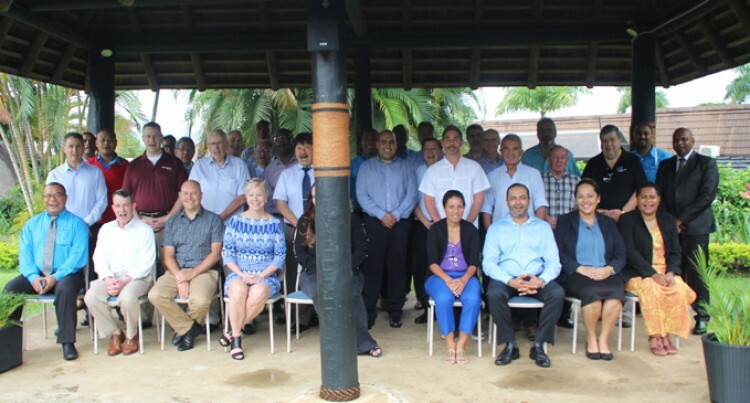 While opening the 32nd Informal South Pacific Air Traffic Services Coordination Group (ISPACG) Forum and Future Air Navigation Services Interoperability Team meeting in Nadi yesterday, Fiji Airports Executive Chairman, Faiz Khan said they needed to tackle the challenges in a collaborative approach. The meeting also included United States Federal Aviation Administration, Air Services Australia, Airways New Zealand as well as aircraft manufacturing giants Airbus and Boeing. Mr Khan added the meeting provided an ideal platform to discuss challenges facing the air navigation service providers across the region. The ISPACG provides an informal forum to foster relationships and to build networks with other air navigation service providers. “The purpose of ISPACG is to promote a cost effective South Pacific Air Traffic Services aviation environment that is responsive to change, meets the needs of the aviation industry, is economically sustainable and maintains or enhances present levels of safety,” he said. Mr Khan said the meeting included air navigation service providers and aviation regulators from Australia, Chile, Papua New Guinea, Hawaii, Japan, New Zealand, Singapore, Tahiti, USA and Fiji. Future Air Navigation Services Chairman, Brad Cornell said they would get together to solve some of the technical problems with dealing with communication lanes with the airplane and the air traffic controllers.